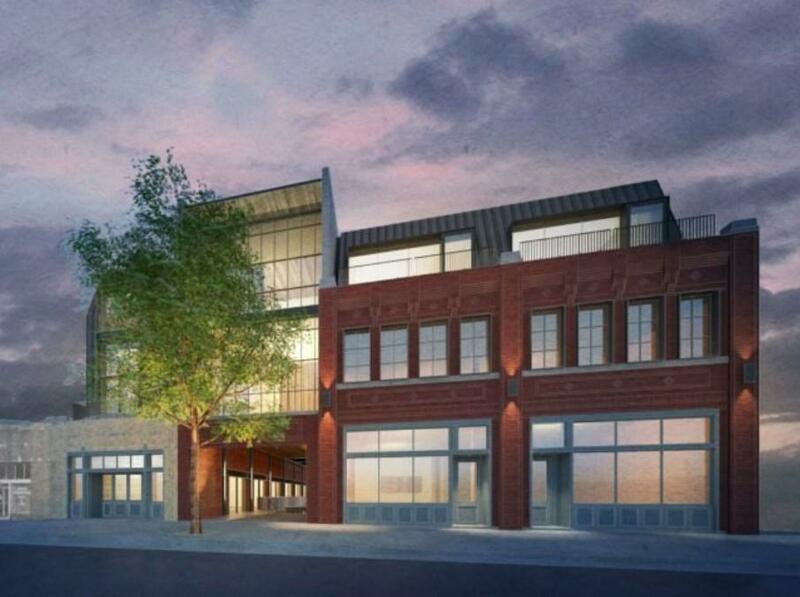 Do not miss the chance to own one of the only opportunities for a 2 bedroom/2 bathroom units in the NEW Mercantile on Morris development! The prime location has become a popular destination for the downtown dweller! 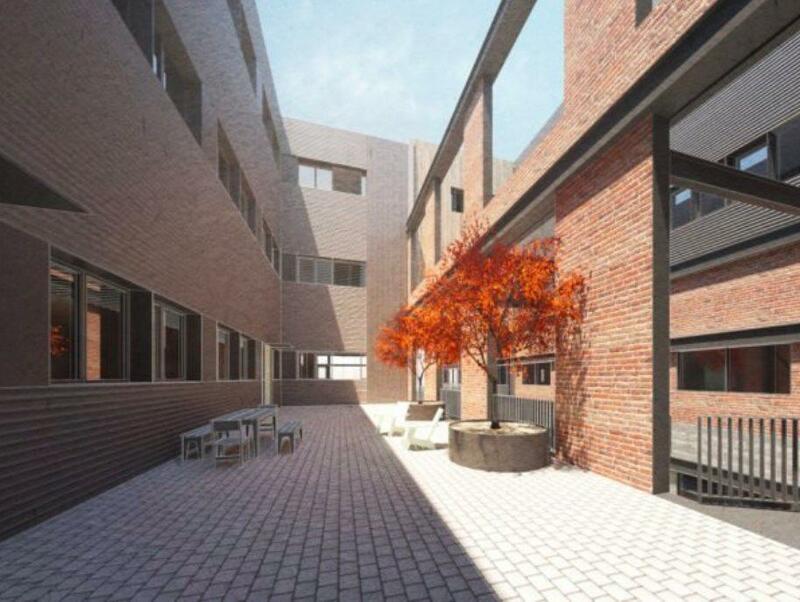 The new construction light filled unit is located on the third level of the community. There are two large historic windows, one in the bedroom and one in the living room. This unit has a split floor plan with each bedroom and full bath on both ends of the unit making an ideal 2 bedroom, functional floor plan which is a rare find downtown. The kitchen and living area is open with exposed reclaimed beams from the historic building that will be across the ceiling in the living and kitchen area! 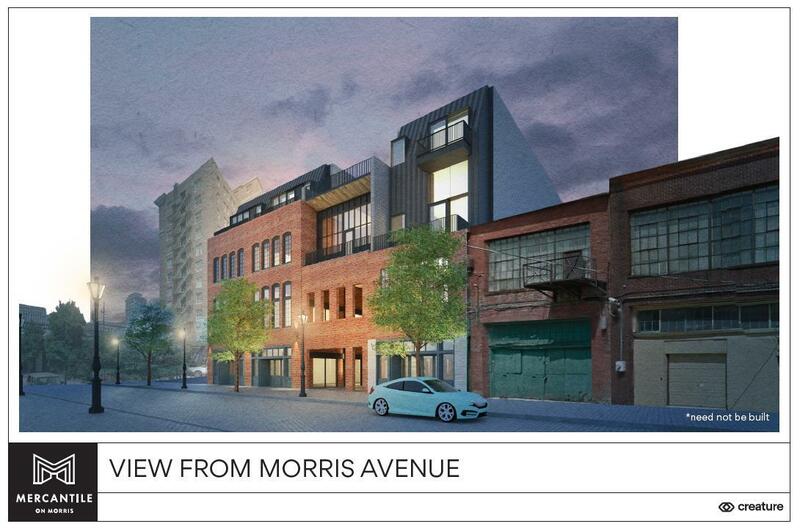 Mercantile on Morris will be a lively place to live with the pedestrian plaza that will connect Morris Avenue to 1st Avenue North with retail situated along both sides of the walkway. 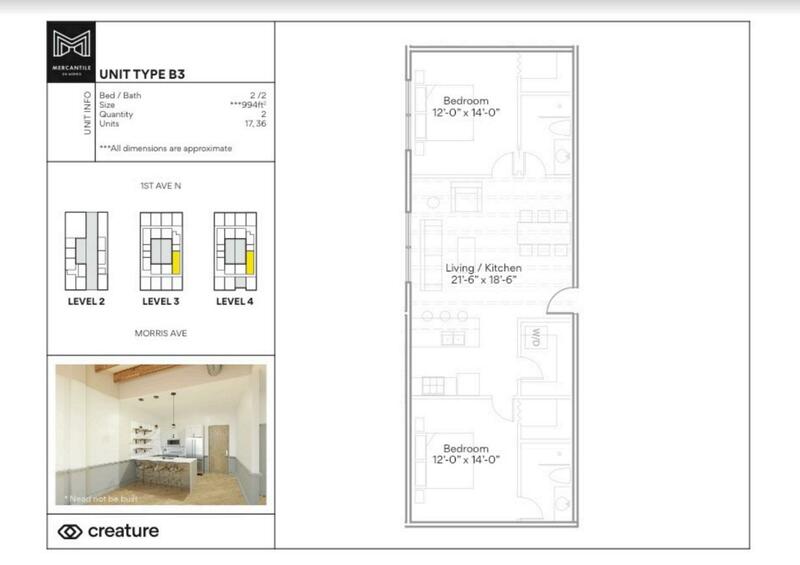 We are currently accepting contracts on these units at preconstruction pricing!